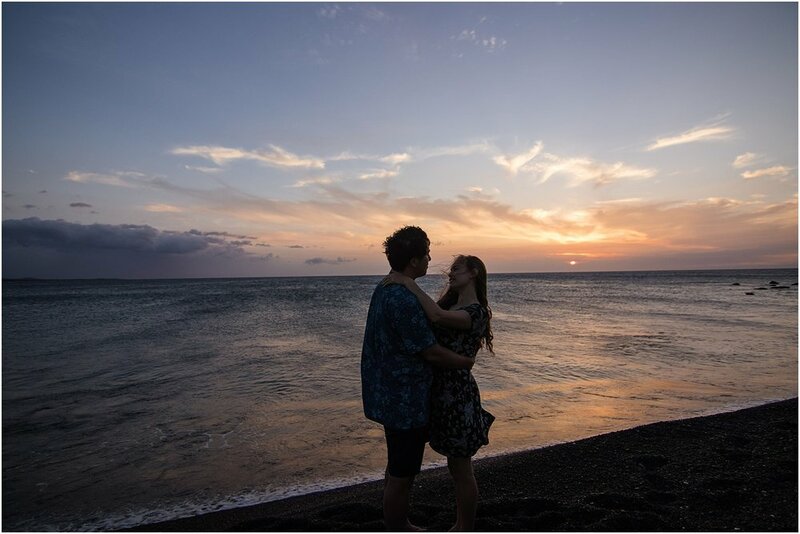 A couple weeks before shooting with Kelly and Gyu, we learned that they had just gotten married and wanted an adventure session while they were visiting the Big Island for their honeymoon. Kelly had been to the Big Island before and had adventured with Ryan when she was here last. Knowing Ryan and his love for adventure and this island, she knew this would be the perfect excuse to get some awesome adventure shots of her and her new hubby. Kelly and Gyu were so incredibly kind. They literally have the sweetest story that goes along with their calming and loving sprits. Kelly was teaching English in South Korea and decided to join the local running club. It was there when the sparks flew between Kelly and GyuWook when they met. Although both of them could hardly speak one another's language (Gyu speaking Korean + Kelly speaking English), they connected on a deeper level and continued to pursue one another during Kelly's time in South Korea. Although it took time for Kelly to learn Korean, these two endured a long distance relationship until they finally committed their lives and moved to Hawaii together. It was such a joy to be able to capture such an incredible love story that defeats the odds. Thank you for showing us that love sees past cultural boundaries and that love persists despite unknown circumstances. We had the best time with you, Kelly + Gyu!